Lagos| Nigeria Top African record label, Grafton Records, known for mentoring and developing raw African talents in Nigeria especially in Port Harcourt has revealed its latest act, Mr 2Kay who is about to take over the Nigerian music scene with his unique style of street music! Newest member of the Grafton streetz label, real name Abiye David Jumbo also known as Mr 2Kay, has had his fair share of the hardship of life and sees himself as a motivational artiste who gives hope to struggling youths through his music. He grew up in the rough areas of Port Harcourt and at a very young age, helped his struggling mother sell kerosene by hawking on the streets just to make ends meet for the family. native, Bonny Island to take advantage of the booming oil and gas business in the South South and get a job that would help him save enough money for his university education. During this time, with music still in his mind, he made ends meet by drawing portraits of people and selling it to them for cash. He later secured an employment during the constructing of the Nigerian NLNG project which helped him raise enough money to continue his education. 2Kay later gained admission into the University of Port Harcourt on a part-time course in Visual Arts. However he had to drop out of school again as he ran out of funds and decided to finally pursue his true love – music. He went after the music industry with a strong passion and objective to make his music known. He attended various talent hunt competitions hoping to “catch the eye” of a producer or a label. He finally caught the attention of Grafton Records CEO, Tonye Ibiama in a competition that selected local acts that would perform at the 2009 Bonny Beach carnival. Finally, the deal was sealed and a delighted Tonye knew that he had found a diamond fit for the new Grafton Streetz label. “This man had paid his dues where it really mattered, on the street. There was no fake with 2kay, it was all real-life experience going into that sound. That intertwined with his undeniable talent and hunger is why I had to have this guy on our label. There is nobody going to work harder to make his music work for the audience than 2kay. And people are really going to appreciate and love the passion and commitment he brings. And believe me, this guy can bring it big style.” CEO Grafton Records, Tonye Ibiama emphasizes. With the release of his debut single, “Run This Town” which scored major success across the Niger Delta and the South South, 2Kay plans to make a mark with his music in the Nigerian music scene. He also got the regions highest selling artiste, Duncan Mighty to work with him on a remix of the song called “We run this town”. 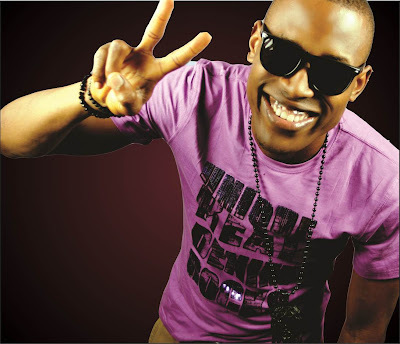 His follow up single called “Waterside boy” established Mr. 2Kay as one of Port Harcourt next rated artistes getting him attention from music lovers and the media and he performed in major concerts that held in Port Harcourt and neighbouring cities. 2Kay is seen as the hope of the youths from the ghetto as he was once part of that life and is now aiming to reach the highest point of his career. “Throughout my days growing up, I encountered a lot of trying times especially when I was trying to put my music out there for people to listen to and appreciate. My music is all about giving hope to young thriving artistes out there who have no means of making their music heard.” Mr. 2Kay explains. Grafton Records has worked with various artistes signed under the label like De Indispensables, M Trill and also has other Port Harcourt based artistes like Tha Ibz, Jesus Boy, Dj Big Mouth along with Mr. 2Kay. Grafton has also hooked up with international artiste, Junior Reid, the US-based Jamaican super star of former Grammy award winning group Black Uhuru. Junior Reid provided vocal support on De Indispensables number one hit, “I am Free”. In 2006, Grafton also teamed up with Phoebe One who did a collaboration with the Indispensables. Phoebe is the First Lady of UK hip-hop and is the first female European to win the Best hip-hop act at the Mobo Awards. De Indispensables, under Grafton Records won the Best West African Act at the 2007 Channel O African Music Awards after being ranked number one on the Channel O charts for three weeks with their single “I Love You” and another single Peace song Featuring M.Trill staying number one on the Mtvbase Africa Chart for four weeks. Mr. 2Kay plans to release his debut album in February which is titled “Waterside Boy” under the stable of Grafton records and the album features some of Nigeria’s top artistes like Duncan Mighty, Rugged Man, Lyrical, Double K, Big Mouth, Valo among many others.